I’ve temporarily lost my book with Dracula, The Vampyre, and Carmilla, so I started reading the other books I had waiting for me. 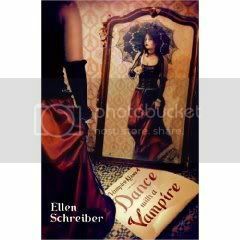 I finished Dance with a Vampire – Book 4 of the Vampire Kisses series. First of all, it is teen/young adult fiction. I’m a few years passed that reading age but it was on my list of books to read and I had already read the previous three. I’m willing to bet that most stories with high school and love interests follow this pattern. Vampire Kisses books though, have some things over the Twilight Saga. Raven (high school girl) does not feel like she will die if Alex (the vampire) is not around. Sure she “loves him and wants to spend forever with him” but if he leaves for awhile, she doesn’t try to kill herself. Bella (high school girl of Twilight) is quite obsessed with Edward (vampire). Raven at least ends up admitting to herself that she has some fear about being turned and leaving her family. Bella just seems crazy obsessive and dependent on Edward and whatever he says. The Twilight books kind of ticked me off with this. We have these books directed at young teenage girls with the message that they cannot live without a man (or vampire). We shouldn’t be encouraging obsessive co-dependent behavior for youth; that’s my two cents. Another good thing the Vampire Kisses books have going for them is that Alex is about the same as Raven. Alex was born a vampire; he is a teenager just like Raven. Another thing that ticked me off about Twilight: Edward and his “siblings” going through high school year after year. Once you have done high school once most people don’t have a desire to go back… except those who want to relive their “glory days.” Twilight’s vampire high schoolers seem to not mature with the years of experience. I would think that if a vampire does want to remain a part of society and join school they would repeat college… they would get a lot more out of it. VK doesn’t have to deal with that. Raven is a kind of unique character; she is a goth girl whose dream since she was little was to be a vampire. She’s kinda funny and stubborn as well. I thought Bella was a pretty weak character/person in general. VK books have a little bit more realistic events (as realistic as vampire fiction can be) than that of TS. TS was so incredible dramatic I actually had to scan through some of the pages or it would aggravate me. VK deals with more pressures from family and friends. With that being said; there is much more action in the TS than that of VK. VK major downside: (POSSIBLE SPOILER ALERT) the second and third books seem to be quite similar to the fourth and the coming-soon 5th book. In book 2 and 3 Alex leaves because he puts Raven in danger. Raven goes to find him, he comes back and they get their party plans messed up. 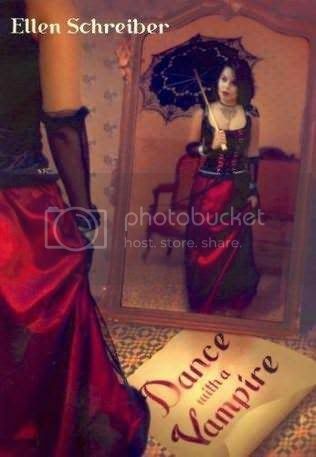 In book four, they get the prom messed up ad Alex has to leave because it will put Raven and others in danger… in book 5 she goes to look for Alex the same place she originally looked for him. VK is also a few reading levels below TS. The TS books are also, probably three times longer, if not more. I would be willing to read book 5 of VK. I don’t think I could sit through another TS book. I’m curious to know what happens though (even if it might be pretty predictable). I know there are a lot of people who love the TS books, so when it comes out, send me a message and you could tell me all about it! I think Raven looks like an old lady in the Euro version! Here is a bigger picture of the US cover. Did you notice the "vampire vegitarian" label in VK2? I've honestly read so much vampire fiction recently (chibi vampire is the best so far!) that I can't tell if this is plagerism on ms meyer's part or just an overused stereotype. About when you read a lot of books in a specific genre (ie vampire fiction) there is so much similarities, it is hard to be completely unique. I will check out Chibi Vampire. Did you want to enter you to win the 4th Gardella Book? Ok so I think your Blog is a little harsh towards the Twilight Saga. First of all,Bella is stubborn in her own right and quite dynamic. She too admits to herself,not to mention Edward and Jacob, that she is worried about the change. Another thing is that the Vampire Kisses series is that the characters revolved around the idea rather than the idea revolving around the characters. Raven seemed like she was named 'Raven' after she was already Goth,and she was already obsessed with Vampires when she meets Alex, what are the odds? In Twilight the story is just about what happened when the characters meet even though it was destiny. Vampire Kisses seemeds like they where CREATED for each other rather than predestined making it a bit less realistic(how realistic can vampires be)literaturely speaking. VK also plays into alot of Vampire stereotypes at least Meyer tries to explain them and differentiate. Though I do agree about the codependency thing I think it was to show how irrevecoble there bond was. Not that Twilight dosen't have it's mistakes or that I dislike the Vampire Kisses series. I just think you were bieng a little critical of Twilight.